» Nagabharanam Movie Review ! 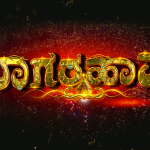 Nagabharanam is the Telugu version of latest 2016 Indian Kannada language epic fantasy film Nagarahavu directed by Rohith Kannan and Kodi Ramakrishna, who his directorial debut in Kannada cinema, and produced by Sajid Qureshi. This film stars Diganth and Ramya, a digitally recreated version of deceased legendary super star Dr. Vishnuvardhan will enact the lead role with the film being marketed as his “comeback”. It is all about a girl named Naganika whose forefathers were incharge to Lord Shiva’s monument which is treated sacred. While here comes the antagonist Tanthrik Kapali who occupies this monument by killing Naganika. During her death, she takes oath that she would take a rebirth to kill him brutally. According to the promise, Naganika takes rebirth in the form of a snake woman and takes revenge on Kapali. 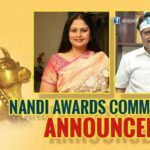 How does Naganika take revenge on Kapali? What are the kind of hurdles she face meanwhile is the remaining story. 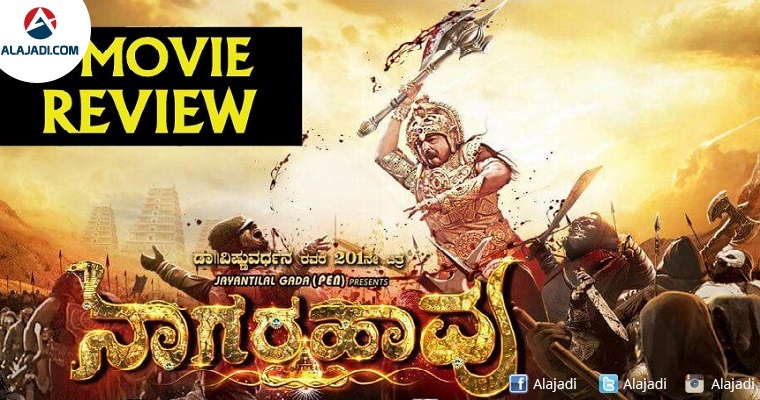 Though the movie story is routine and predictable in nature but the high end graphics used for the movie would definitely pull the audience to the theaters especially the performance of Divya Spanadana is one of the major highlight and presence of Vishnu Vardhan is also a positive point. We can’t movie our eyes on from Divya’s performance. The movie can be worth watching if you like Graphics. Ramya: She has given her best shot in the career. This is the first time that she sported in such a character and did her best. Director Kodi Ramakrishna is known for his fantasy movies and has put a good one in his kitty. The high end graphics were neat but few are just overdone. The music given by Gurukiran is not actually so great while the BGM is okay. Editor Jhonny Harsha has done a clean work. The cinematography wasn’t so good while it could have been much better. Screenplay was good.